Vinyl Matt Media’s Online Booking System for hotel properties. Draw more business through your own site. 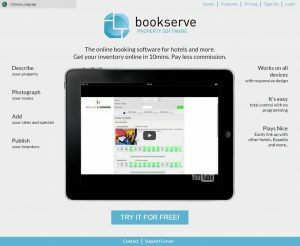 BookServe has its own website where you can signup your property. Our system allows incredible levels of control of enhancements and the parameters of a deal, allowing separate rates and services based on visitor types. Visitors to your hotel site have often identified your site through a TPI and are shopping around for rates and to form a more informed opinion of the hotel based on it’s own website. Along with increasing consumer confidence in the booking process it gives the hotel unprecedented control over the online booking process. Furthermore the booking engine fully integrates into existing website design. This helps maintain brand consistency across all channels building a stronger bond between the hotel and guest. With 14yrs experience in implementing search engines and search engine optimisation, Vinyl Matt Media define best practice in long term organic SEO for the hotel industry. The booking application contains everything we know about technical SEO: embedded in the product. Visitors frequently use ‘deal’ based search phrases to identify properties. Bookserve takes account of this and serves offers as individual pages. These can be targeted for optimisation by your Search Engine Partner, staff or by us if you are part of our SEO mentoring program. No extra configuration is required to do this, the system will do it automatically. 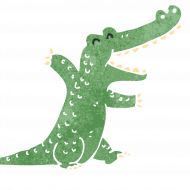 Using offers as landing pages from your Adwords campaign allows you to precisiely refine offers. Our native integration with Google Analytics allows the Return on Investment (ROI) to be quickly and easily measured and introduced into your reporting framework. In order to vie for sales in an increasingly competitive marketplace hotels need to reach as many potential customers as possible. Many hotels have bi, tri or multi-lingual sites but few have applied this usability across their booking engine. With BookServe, true multilingual booking is now a reality. Featuring a vast array of the most widely spoken languages, hand translated for optimal accuracy, BookServe opens up the hotel booking engine to a global audience. With the continuing trends of cheap air travel and globalisation it is now essential for properties to cater for a new and growing multi-national consumer base. If we don’t cover a language or dialect Vinyl Matt Media will work with you to produce a booking engine in your language for free. Contact us for more details. Vinyl Matt Media offer two user paths to maximise conversion. The first is a traditional model where the users select a date range and see rooms and offers. The second is that they have a ‘flexible dates’ options. The two paths are designed to maximise conversion by exposing the visitor to the widest range of deal options depending on what kind of visitor they are. Data is a key component to running a successful business. The in-depth reports available through the BookServe control panel reveal where, when and how site visitors click through the purchasing process. When used in conjunction with the real-time inventory function conversion rates can be vastly increased. The web’s a democratic place: if you’ve got a portal site you can serve availability from multiple properties through that portal: increase your audience by delving into the long tail. Take vouchers with your online bookings. Gather preference and visitor purchase history to contribute to loyalty programs and other CRM applications.